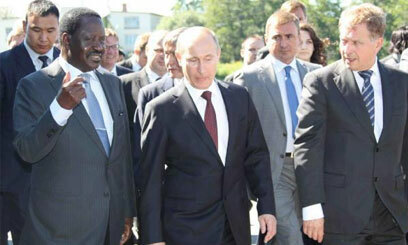 ST PETERSBURG, Russia, June 22, 2012 (CapitalFM) – Prime Minister Raila Odinga on Friday challenged the political and business leaders in Russia to use Kenya as their entry point to the African market, which he said has become an exiting place with a wide range of opportunities. WASHINGTON DC, June 19, 2012 (State Dept) - Women entrepreneurs from 37 African nations convened in Washington for the third meeting of the African Women's Entrepreneurship Program (AWEP), which runs from June 3 to 23. Representing a colorful variety of cultures, customs and languages, the nearly 50 AWEP delegates all had two things in common: entrepreneurial experience, and a dedication to improving communities through business. JOHANNESBURG, South Africa, June 15, 2012, (OSAF) - The reality of Indian and Chinese investment in Africa is much more complex than the good cop, bad cop image of Asia's two emerging economic giants. China and India have caused an explosion of trade and investment in Africa in the past decade. Yet they are perceived quite differently: China has a reputation for economic ruthlessness, while India's business interests are generally seen as beneficial to Africa. ACCRA, Ghana, June 15, 2012 (Public Agenda) - The first conference in Africa solely focused on off-grid renewable energy technologies will be held in Accra in October this year with a special look at applications in rural communities of developing countries. Off-grid technology is extremely important throughout Africa with many of the continent?s inhabitants without access to the grid. 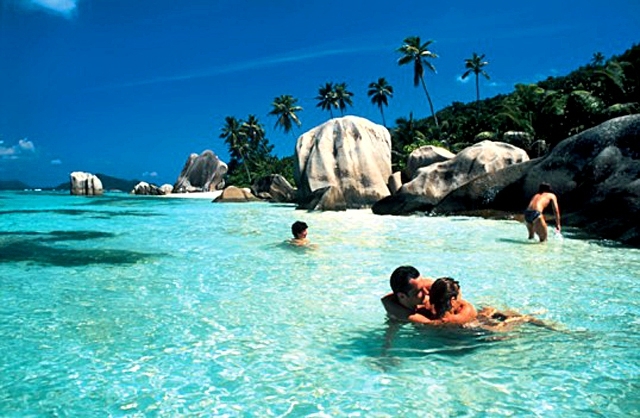 SEYCHELLES, June 12, 2012 (Africa Renewal) - The Seychelles, with its many Indian Ocean islands and beaches, is renowned as a high-end destination for tourists. Besides profiting from its beautiful landscape, it is also known as business-friendly, politically stable and a strong voice in international discussions on climate change. President James Alix Michel, who was previously a teacher, trade unionist, journalist and army colonel, has been elected twice to the country's highest office, in 2006 and 2011. In this exclusive interview, Africa Renewal's Wanjohi Kabukuru spoke to President Michel on the Seychelles' successes and challenges. NAIROBI, Kenya, June 10, 2012 (Africa Renewal) - Each year, governments, journalists, development experts and others look forward to the United Nations Development Programme's Human Development Report. The report includes a ranking of countries based on life expectancy, literacy, quality of life and so on. Once it is released, governments and citizens of countries with high rankings immediately trumpet their achievements. Those with lower rankings, such as the Democratic Republic of the Congo, which was last in 2011, come in for criticism. Africa: Private Health Insurance - Elite Luxury or Mass Market? ZIMBABWE, June 08, 2012 (The Z-Gazette) - With urban middle classes expanding more Africans are willing to pay for health protection, giving the insurance industry a boost - but coverage for the masses remains elusive. Over half of Africa's total annual expenditure on healthcare, estimated at around $55bn, comes from the private sector. Across sub-Saharan Africa, not only are most countries still a long way from achieving the targeted 15 percent government budgetary spend on health, but they were actually spending less on the sector in 2010 than in 2001, according to the 2010 World Health Report. SOUTH AFRICA, June 4, 2012 (Pambazuka) - The idea of issuing diaspora bonds should be considered a viable alternative to raise finance for Africa's development. Africa's development plans are ambitious, but the continent and individual countries lack the money to finance them. Research by the World Bank for example shows that the funding gap to meet for Africa's infrastructure needs only is around US$93 billion per year alone. Where is Africa going to get such finance?